It’s time to listen to a bunch of the tracks I have not posted recently. 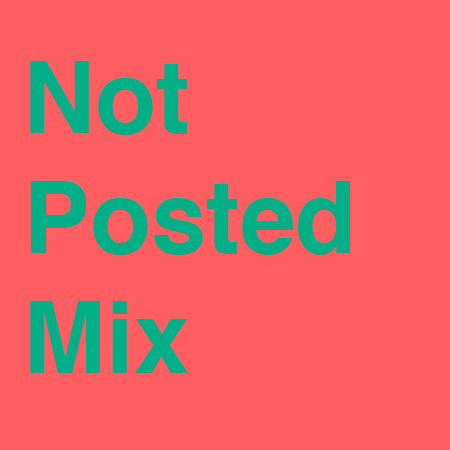 Here is the next NOT POSTED mix. These are just a few of the songs that would get their own individual posts here on GIMME TINNITUS, if I only had the time. You can stream all the songs in this mix using the Yahoo media player at the bottom of the page OR if you are browsing with Chrome you can play (and scrobble) the whole page using the ex.fm extension OR you can just download any or all of the tracks at your leisure and play them using a digital media player of your choice. Listen. Be sure to check out the other NOT POSTED mixes. Also, If you want to download all (or most of) the tracks in this post, you should probably think about installing the DownThemAll! or FlashGot Firefox extensions.